With Ying and Bonnie out of town, there's just no stopping me! I found this today. It looked kind of sad in the trashroom. And I felt bad thinking that it might end up at the dump. The cord is frayed and it's all tarnished. The light part is easy... just go to ikea and get a little light set for a few bucks. But the metal part of the lamp... is it brass? How do I polish this up? 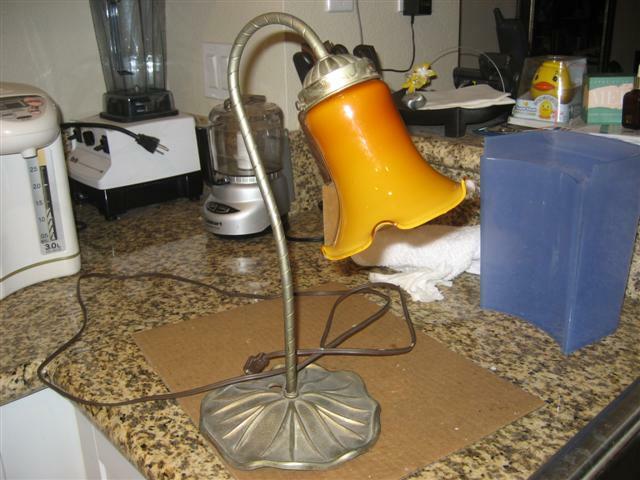 Read Part 2 - Old Lamp is fixed!